Approaching Easter and the Passion Week is in full swing. Holy Thursday is known among Christians, because on that day was pronounced the death sentence on Jesus Christ. On this day also traditionally be painted eggs. At the end of the Passion Week, people gather with their families, preparing to face the one of the brightest Christian holidays – Resurrection of Christ. Holy Thursday gives the start of the Easter holidays. A preparation of eggs and delicious Easter cakes begins. On Holy Thursday on custom are painted eggs. They have to be over 40 in number, collected during Lent. First painted egg should be red, and with it the grandmothers or mothers rub cheeks or foreheads of small children wishing them to be healthy and red like Easter Egg. Nowadays, people often choose to welcome Resurrection of Christ on holiday in the country or abroad. 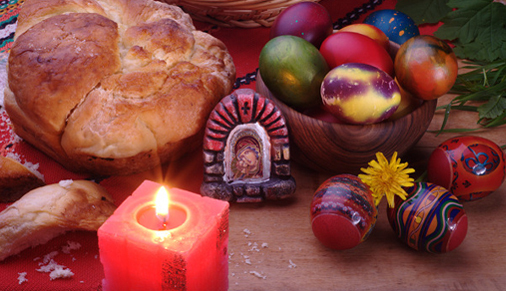 Many of the hotels, guesthouses and restaurants prepare vegetarian food, bread and eggs as Easter customs. Easter holidays provide an opportunity to spend time with family and visit interesting places. Plan your trip with rental car from Top Rent A Car. Top Rent a Car offers a brand new cars which undoubtedly guarantee a pleasant and relaxing holidays.